This is the fourth in a series of the Scurlock photos. Read the others. We have reported before on the coming of Shaw’s Tavern to the building (pictured above) at the southeast corner of 6th Street and Florida Avenue. It turns out that the bar at Shaw’s Tavern will not the be the first establishment to stir up elixirs at that location. 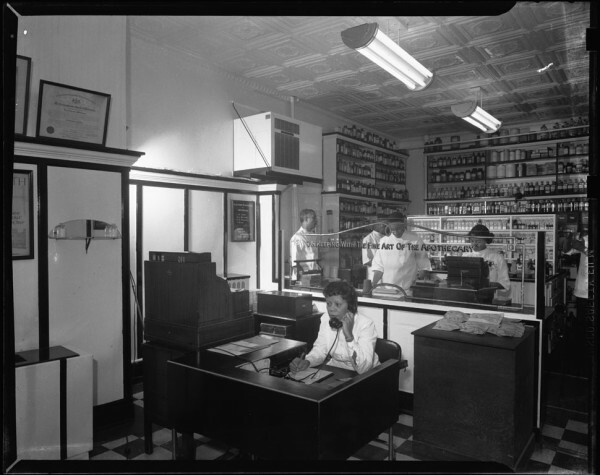 While perusing the Smithsonian’s Scurlock photo archives, we found that one of the building’s previous tenants was the Ethical Drug Store (also known as Ethical Prescription Pharmacy and Ethical Pharmacy), one of the many black-owned businesses along the 400 – 600 blocks of Florida Avenue NW. 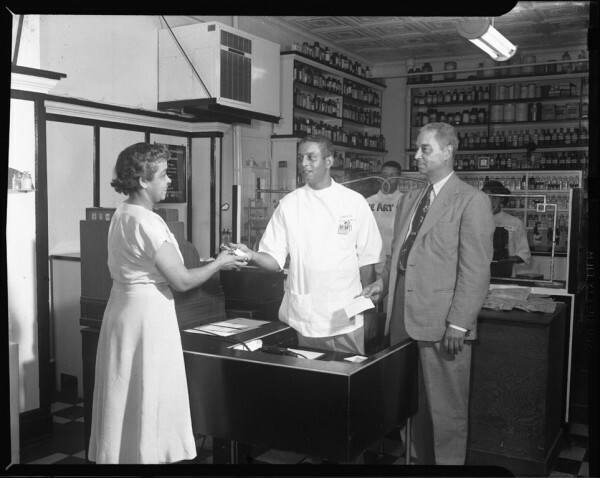 Pharmacist Lewis Terry (1904- 1978) graduated from pharmacy school at Temple University in 1928. 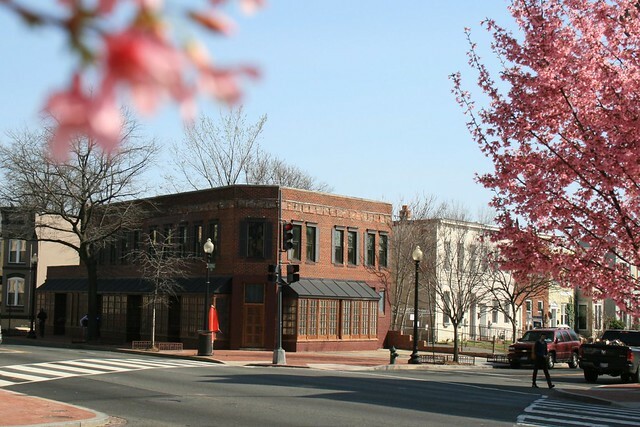 The following year he opened Ethical Pharmacy at 518 Florida Avenue NW. The pharmacy had filled 1 million prescriptions by 1953 earning him a special honor from Temple. 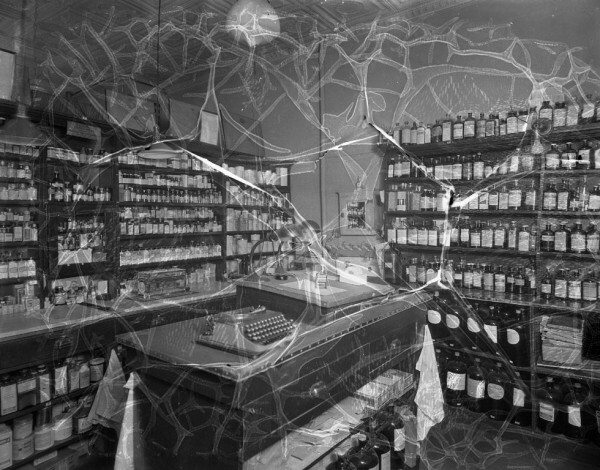 Though Mr. Terry sold the business in the mid-60s, the pharmacy stayed in operation until the 1990s. The name Ethical Pharmacy is a relic of a professional division in the pharmacy field a century ago. An “ethical pharmacy” proudly devoted itself solely to filling prescriptions and did not sell other extraneous products as modern drug stores, such as CVS, do today. The use of ‘ethical’ was a high-minded misnomer since a pharmacist could sell other wares ethically or devote himself exclusively to quack medicine. 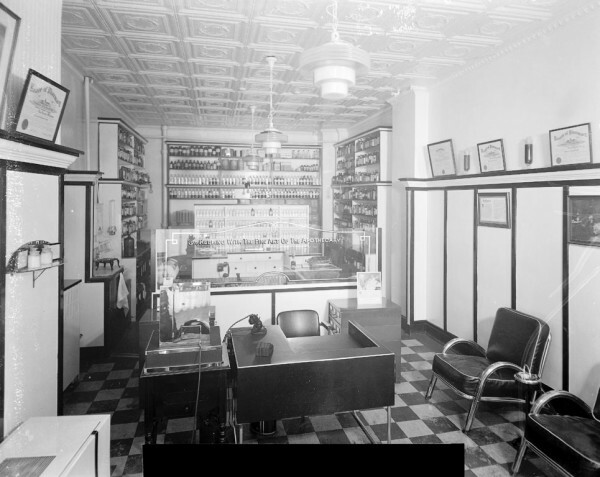 The Scurlock Studio photographed the pharmacy in 1937 and again in 1950. We have included both photo shoots below. Here are some other shots of the interior. Though the Smithsonian has no date for the first two, we suspect they was shot in the 1930s. 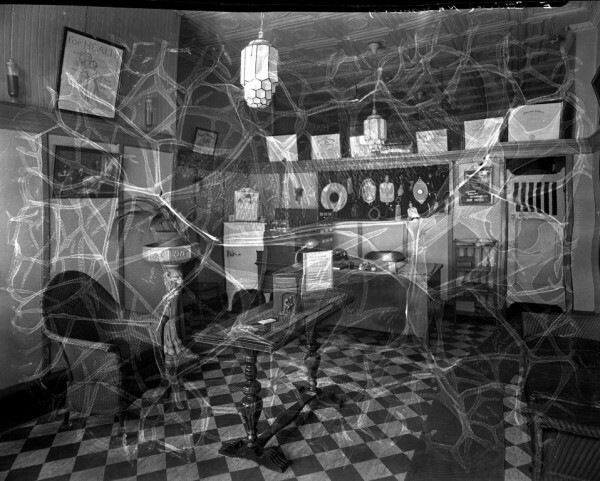 The third photo is dated 1937 and judging from the change in the interior, we suspect the pharmacy had undergone some sort of renovation to appear more modern. wow, though the building is so much nicer looking now compared to how it was for the most recent past, these pictures from further back look nicer than today’s building, in my opinion. another amazing post. I love the toggling features of these looking back pieces! Great post! Happy to see this store front get filled again.